From cheap and chintzy to dull and boring, Japanese cars have often battled a bad reputation among American and European enthusiasts. On the eve of the new Scion/Subaru sports car, which is neither cheap and chintzy nor dull and boring, it’s worth a look in the rearview mirror at four cars from the dawn of the Japanese auto industry that were exceptional enough to catapult their makers into the ranks of the world’s largest and most respected automobile manufacturers. It’s no exaggeration to say that the engineering in the 70-hp, 791-cc DOHC aluminum four-cylinder engine is as exquisite as anything you’ll find in a Breitling watch. For example, it uses no conventional bearings — only intricate needle roller bearings for the crankshaft. 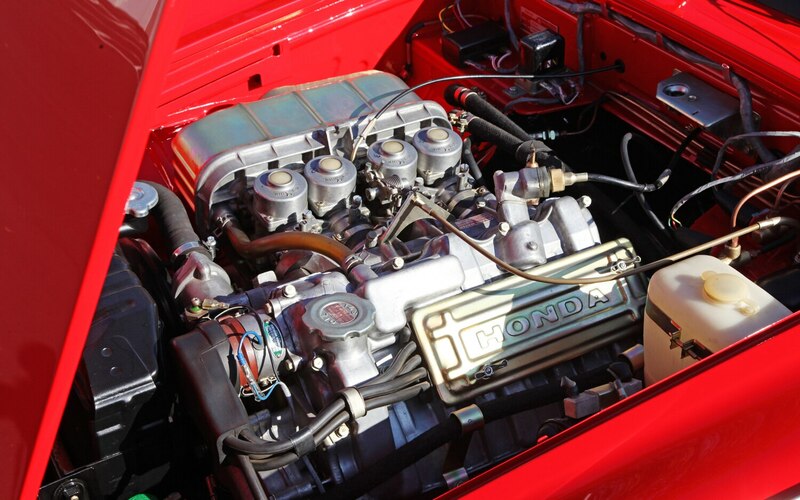 It inhales through four individual carburetors, exhales through equal-length exhaust runners, and spins 1500 rpm higher than the racy four-cylinder in today’s Civic Si. It also makes more power per liter, without the help of VTEC or computers. 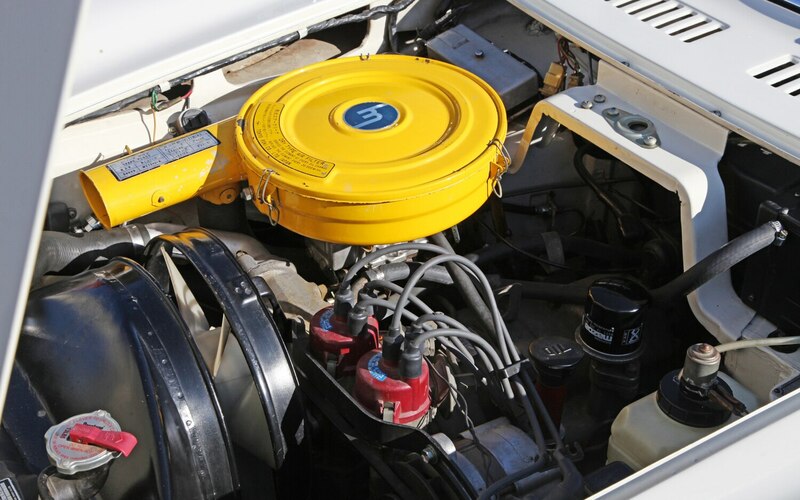 In the 1960s, when one horsepower per cubic inch was the barely achievable hot-rod holy grail, this engine made one and a half. More remarkable, the S800 was the low-revving, big-displacement, high-torque version. The earlier S500 and S600 (named for their 531- and 606-cc engines) revved even higher, and they used chains to transmit power to the independently sprung rear wheels. 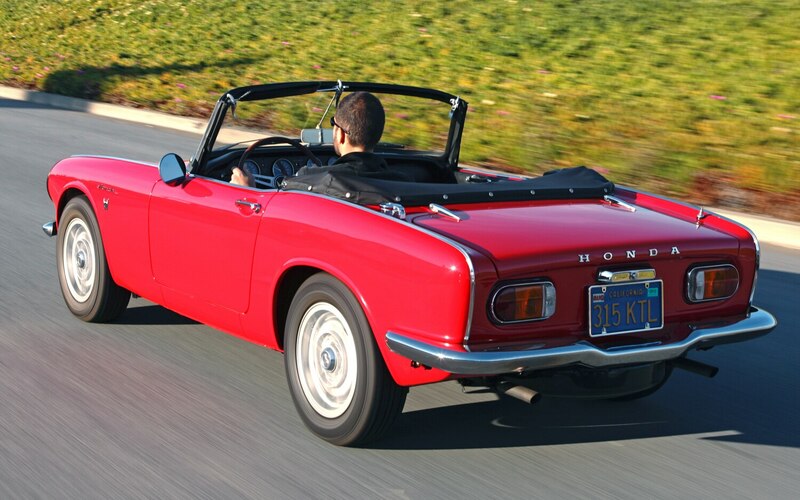 The S800 switched to a traditional driveshaft and live axle, but every detail of these diminutive sports cars was executed in the typical Honda way, engineering around problems in the most elegant manner possible rather than simply following convention. The S800 is a darling little car to drive, with unassisted, superfast steering (only 2.5 turns lock-to-lock! ), an incomprehensibly supple ride, and a body-on-frame structure that is somehow immune to cowl shake. The shifter is the size of a chopstick, and its short throws feel better than those of any car you can buy today. The driver’s seat actually fits life-size human beings and, with the exception of a toggle switch for the horn that you accidentally actuate every time you reach for the turn signal, even the controls are well laid out. But the engine overshadows all of that. Its response is instantaneous, and it’s as happy and torquey at two grand as it is at eight. The mind boggles. 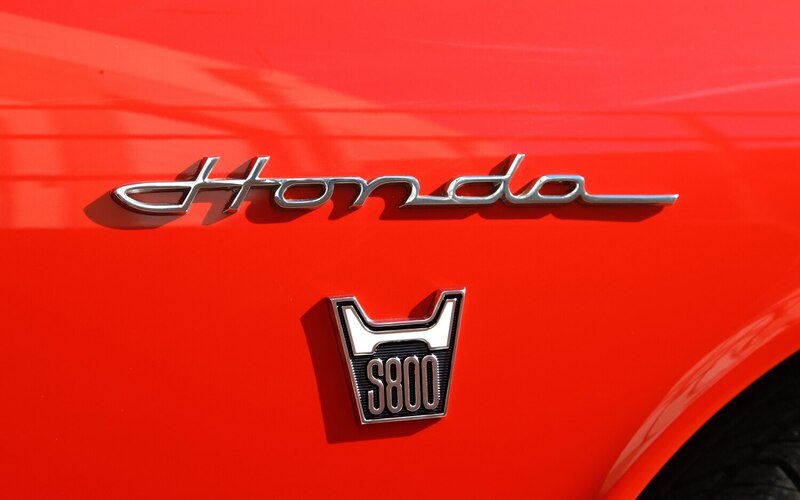 That this is Honda’s first car is amazing, but even taken on its own, the S800 is a clear explanation of how this company became the undisputed master of the four-cylinder engine and earned a reputation for engineering brilliance. 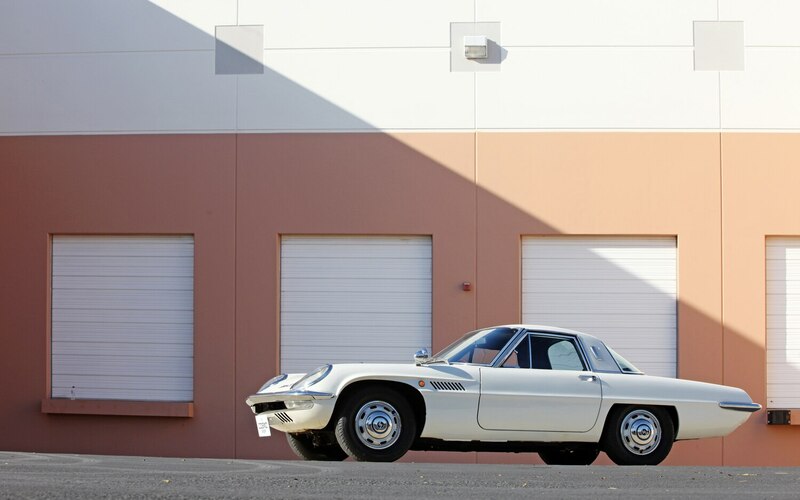 The S500/600/800 might have been Honda’s first car, but the Mazda Cosmo was the world’s first car with a truly viable rotary engine — a twin-rotor. 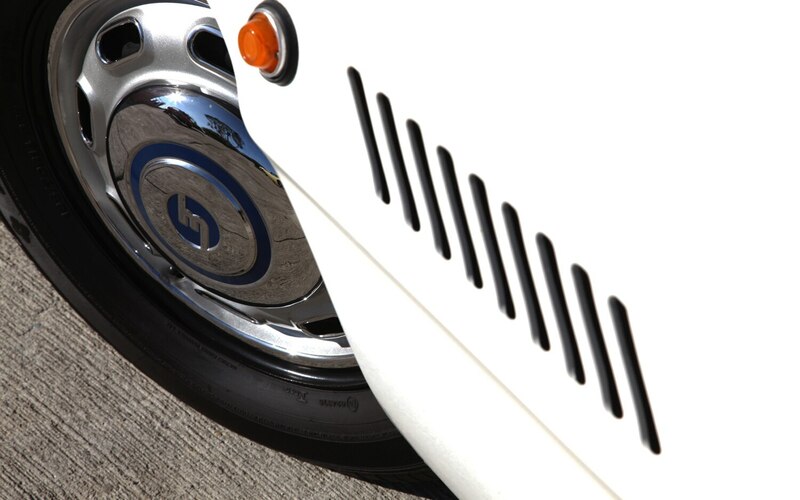 Its futuristic styling was the perfect complement to the Jetsons powerplant under the hood: a 110-hp thing of wonder not much larger than a basketball. 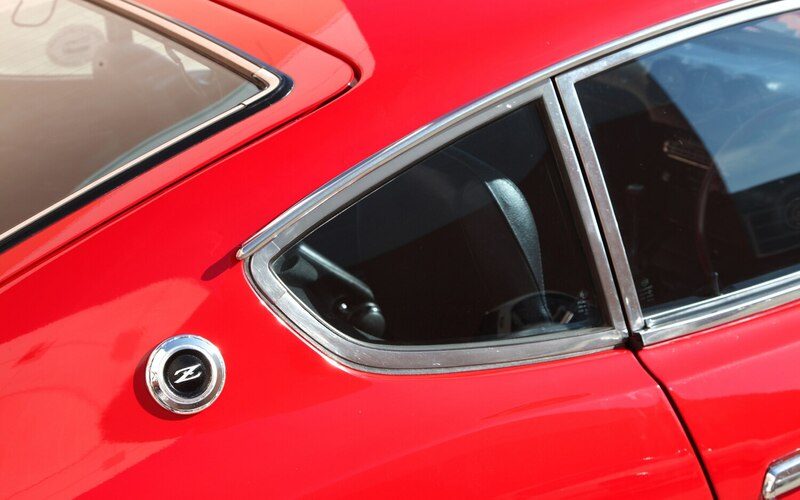 Working under a development license from NSU, Mazda solved many of the rotary’s problems before the Germans did, and the Cosmo beat NSU’s own twin-rotor car to market. Mazda built only 343 examples of the 1967 Cosmo. 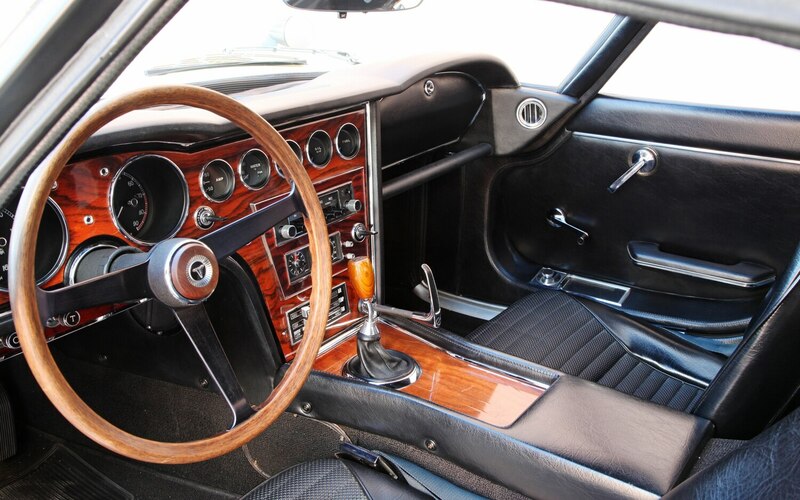 A mid-1968 update gave the car a 5.9-inch wheelbase stretch, vacuum-assisted brakes, a five-speed, and eighteen extra horsepower — but only 1176 Series 2 units were built before production ended in 1972. 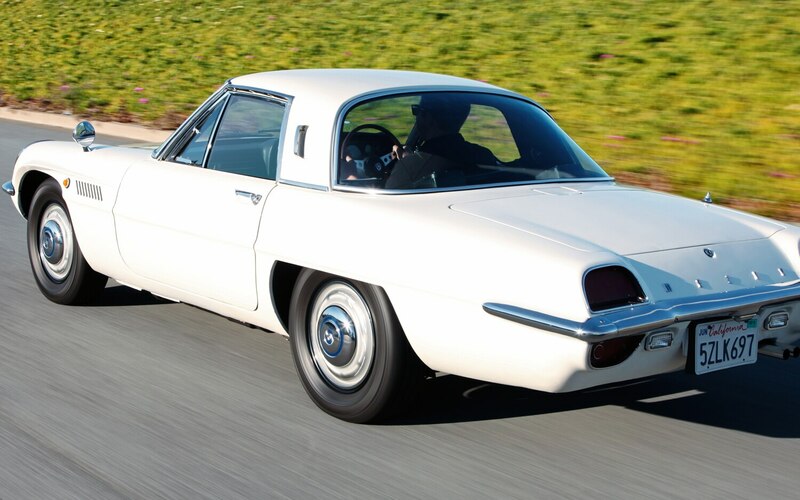 Still, the white spaceship with the vertically mirrored jet-exhaust taillights was Mazda’s Big Bang — the first of more than two million rotary-engine cars that Mazda has sold since. The Cosmo’s tiny 982-cc engine produces twice as much torque as the frenetic Honda four-cylinder, but the twist is delivered effortlessly and without vibration even as the tach needle sweeps into the red zone. The Cosmo doesn’t so much pull hard, it just never stops pulling. As a result, it’s a lot faster than it feels. That could be a problem, except the Cosmo is so impressive in corners. The steering is relatively slow, but the Mazda changes direction with immediate responses and astonishing agility. Having a diminutive engine mounted behind the front axle and no higher than your kneecaps pays dividends here just as it does in today’s Subaru BRZ — after two minutes of savoring the light, delicate controls, you will itch to drive this sports car on a racetrack. Once upon a time, the rotary engine was a common dream — it was envisioned for use in Corvettes, De Loreans, Chryslers, and Citroens, among others — but the only company that made that dream a long-standing reality is Mazda. It all began with the Cosmo. 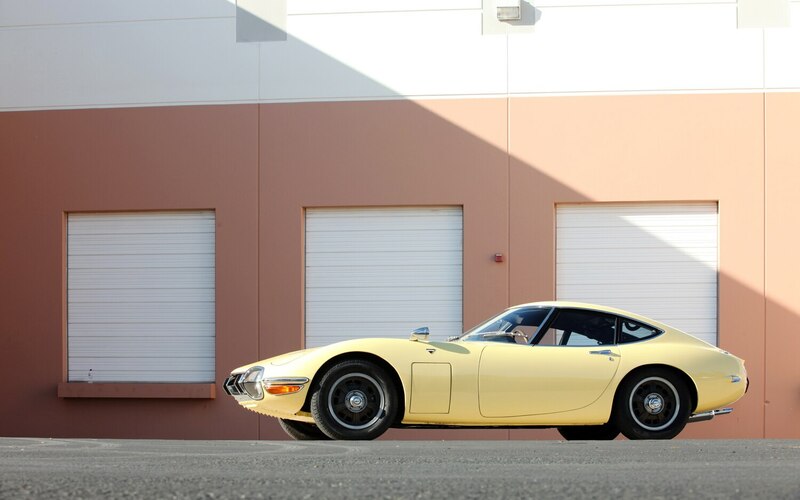 If the Honda’s engineering ingenuity and the Mazda’s rotary engine blazed the trail for their makers’ futures, then the 2000GT is the perfect example of why Toyota — and Lexus — are where they are today. In fairness, some of the credit goes to Yamaha, which assembled all 337 2000GTs and developed the DOHC cylinder head that bolted to the Toyota Crown sedan’s 2.0-liter straight-six block. The car’s design was done by Toyota, and styling that appears a little overwrought in photos is beautiful in person. 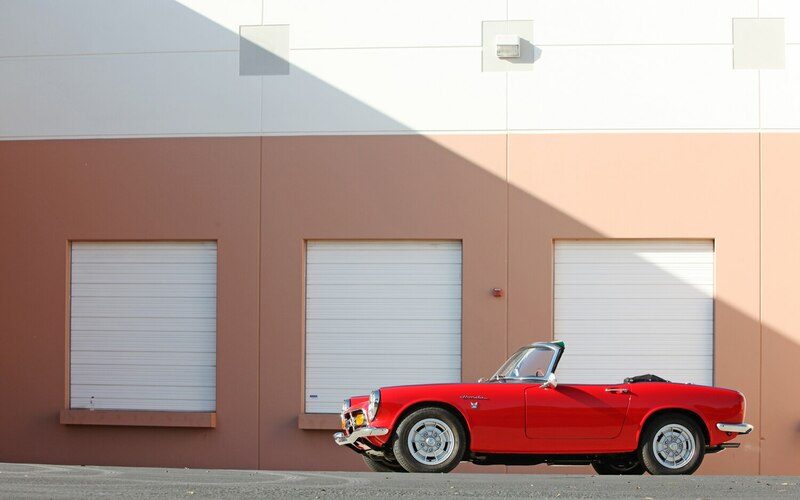 With shades of the Jaguar E-type in its complex curves, the backbone-frame 2000GT looks much like a Lotus Elan underneath. Ironically, it’s the tall Lotus-style rear suspension towers that necessitated the upward kink of the rear side windows — and in the process created one of the most beautiful greenhouses of all time. 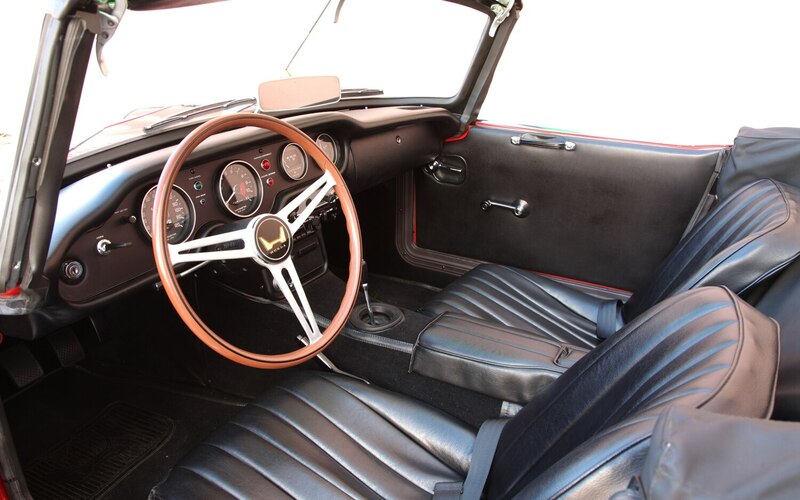 Thanks to a windshield that curves noticeably away from the seats, the interior feels airy once you’re inside, at least if you consider that the 2000GT is three inches lower than a Miata. The big problem is getting in and out — it takes a considerable amount of body origami, despite door cutouts that extend forward well past the base of the A-pillars. 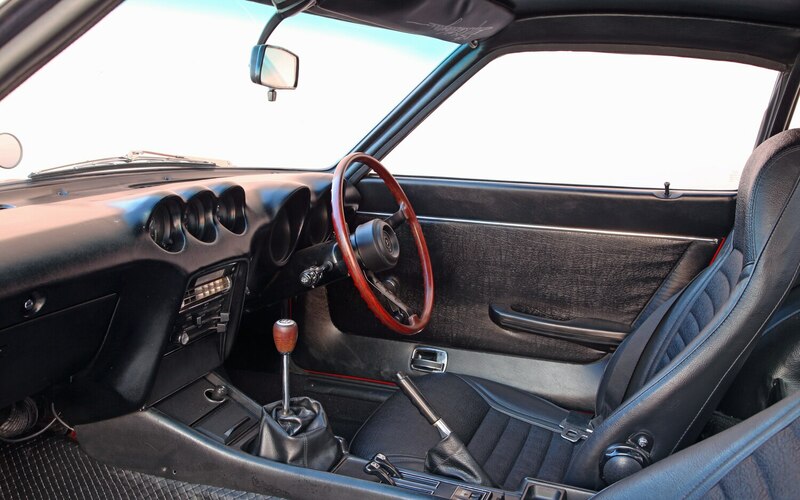 Unlike the other cars’ black, no-frills interiors, the 2000GT has a detailed, rosewood-adorned cabin (a credit to Yamaha’s piano-building expertise). Tasteful use of chrome, wood, and stitched fabrics creates an atmosphere that is more understated but just as elegant as a period Rolls-Royce. The handbrake lever, which extends straight out from the dash, feels like it weighs fifty pounds and rides on ball bearings. There are defroster elements in the rear glass so thin that they’re almost invisible. Keep poking around and you’ll notice that even the hood pops up with silent dignity. The GT is no less impressive to drive. It feels in every way like a substantial V-12 grand tourer, with a smooth ride, steering that’s as accurate as a modern car’s, and power-assisted four-wheel disc brakes — the latter a first for Japan. The five-speed’s shifter is positive and the clutch perfectly smooth in its takeup. 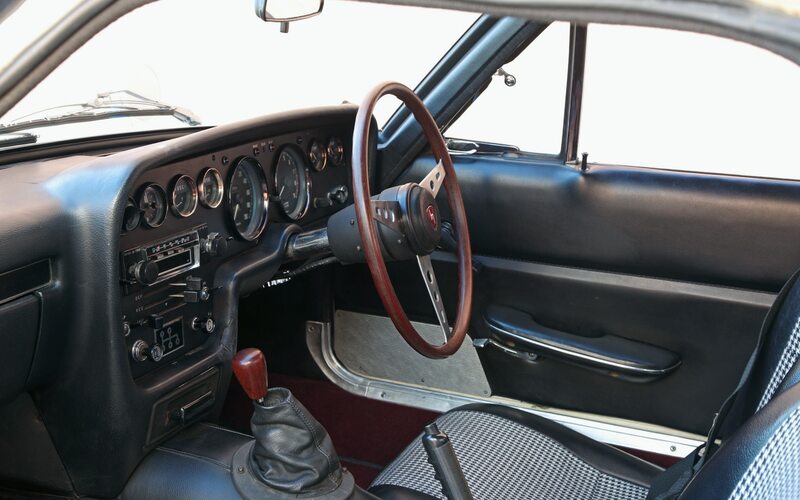 The straight six calls attention to itself only in its harmonic upper register, and the cabin is so quiet that the loudest sound you’re aware of is a faint gear whine transmitted through the metal-and-rosewood shifter. Even in the company of these other amazing cars, the Toyota is a standout — but it’s hard to imagine what a shock it was to 1960s America, which thought of Toyota as a producer of only cheap knockoff basic transportation. That shock value alone is enough to explain why the 2000GT is the first collectible Japanese car to achieve Italian-exotic values. 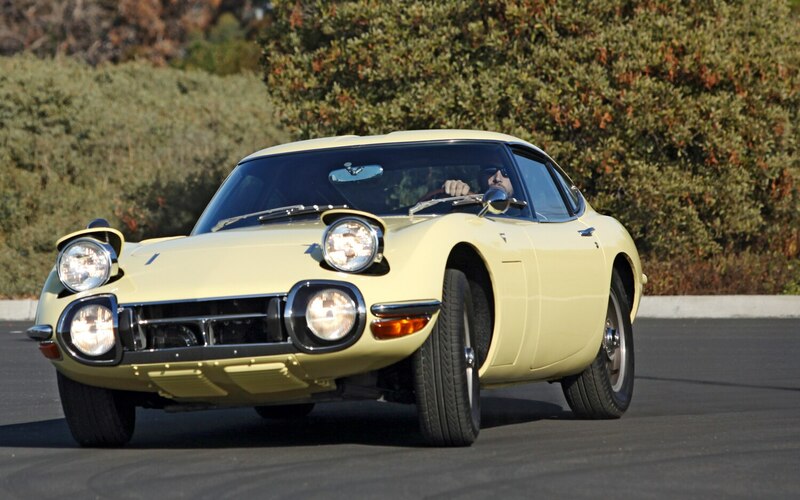 If it was the Toyota 2000GT that grabbed the attention of car enthusiasts worldwide, it was Nissan’s Z that pried open their wallets. It took Chevrolet a quarter century to sell 500,000 Corvettes — Nissan moved that many Zs in a decade. More important, the Fairlady Z, or Datsun 240Z as we knew it, was the final, fatal shot that killed the mainstream British sports car. Sized appropriately for big American frames, it was sculpted like an Italian supercar and stuffed with reliable, modern technology. It had a fixed roof in place of the leaky British canvas top, and it had the performance to brush aside all of its competition. And that’s exactly what it did. 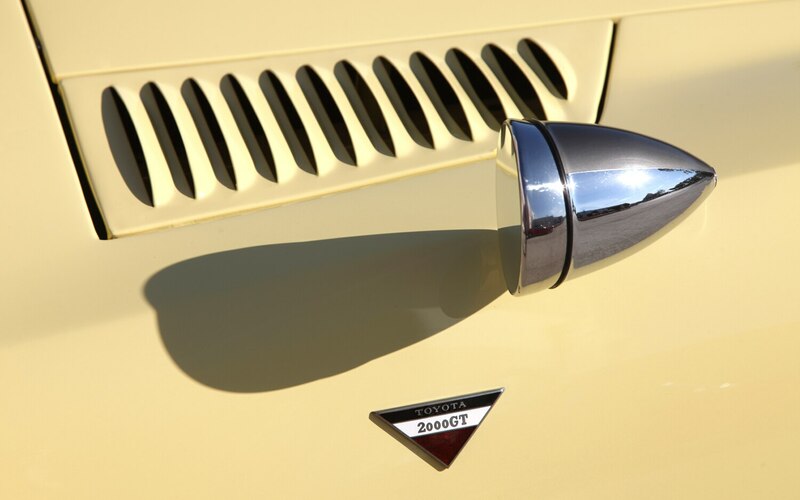 The Z’s visual similarity to the 2000GT often results in accusations of copied designs, but in fact the two cars are only tangentially related. 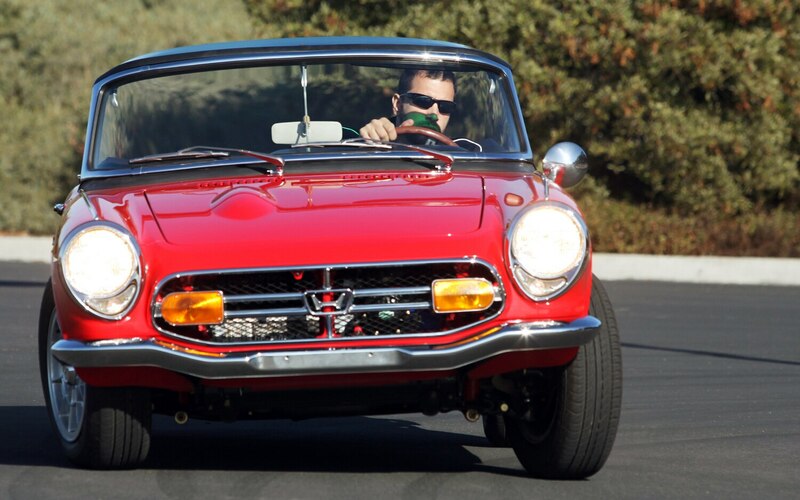 Initially, Nissan hired Albrecht Goertz, who penned the BMW 507, to consult on the development and design of a rear-wheel-drive sports car to be codeveloped with Yamaha. Nissan and Yamaha eventually broke up, leaving Goertz without a job and putting the Z in the trash bin. 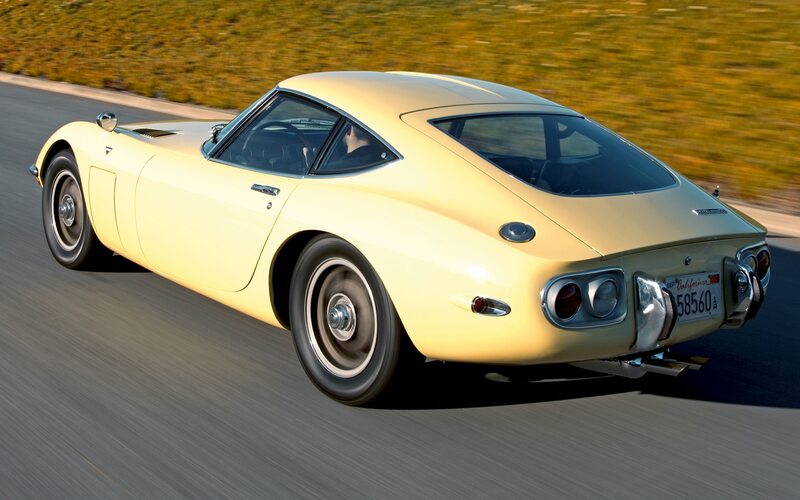 Yamaha then formed the partnership with Toyota that resulted in the 2000GT — and the world’s exuberant response prompted Nissan to revisit the Z project. The similarities between the cars, both visually and conceptually, can’t be denied — but they are likely no more than the result of three companies thinking the same thing at the same time. 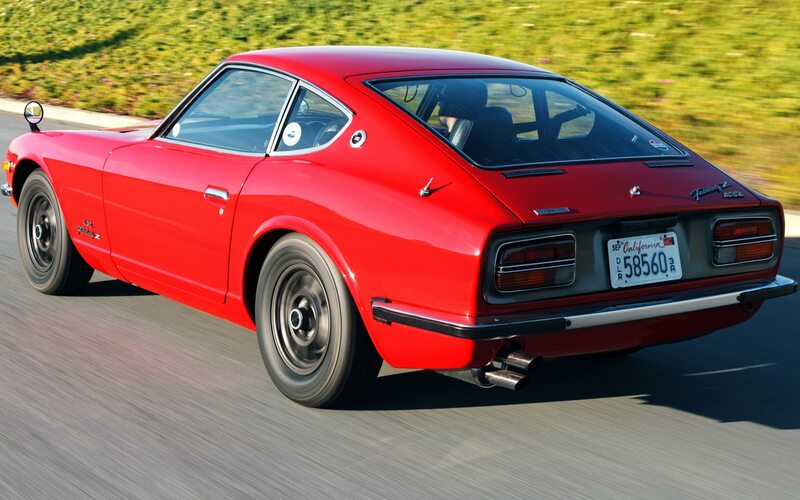 Besides, the 2000GT cost two and a half times as much as a base Fairlady Z — they were hardly competitors in the marketplace. 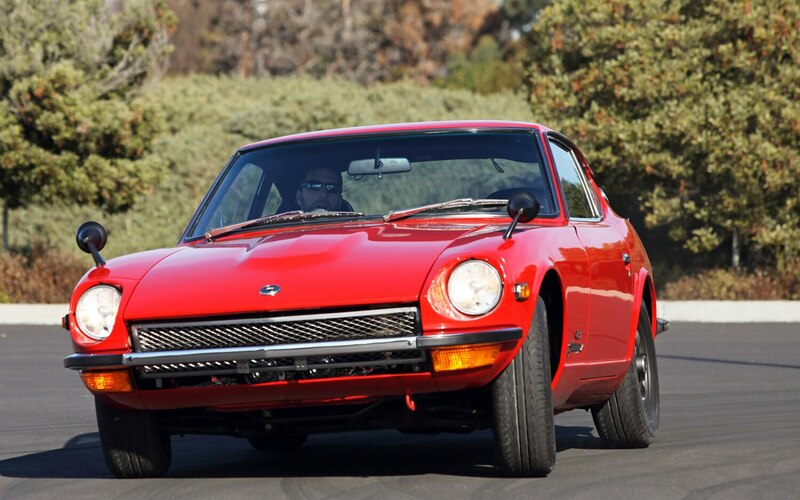 The 240Z sold in America used a SOHC 2.4-liter straight six derived from an old 1960s Mercedes-Benz design. It was a simple but effective engine and, attached to a four-speed manual, delivered both the performance and the driving experience that American customers wanted. Japanese buyers could choose between two six-cylinder engines that slipped under their country’s 2000-cc tax ceiling. The first was shared with a luxury car; the other was plucked straight out of a race car to create the Fairlady Z432, of which 419 were built. 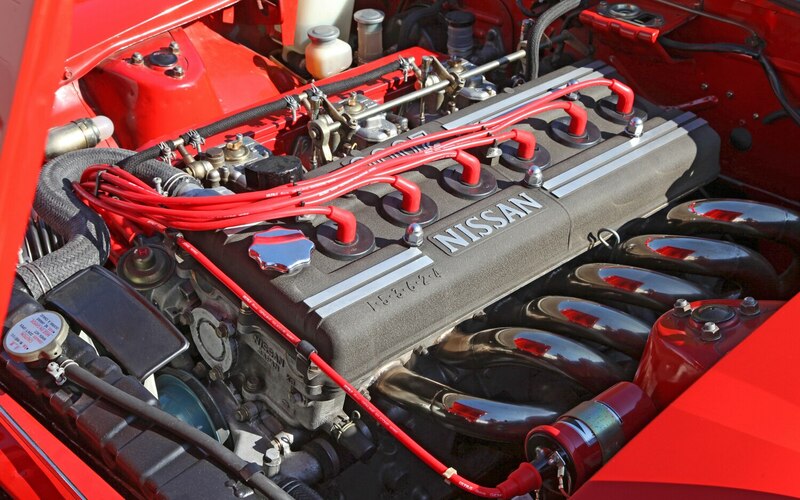 Four valves per cylinder, three carburetors, and two camshafts — hence the Z432 name. 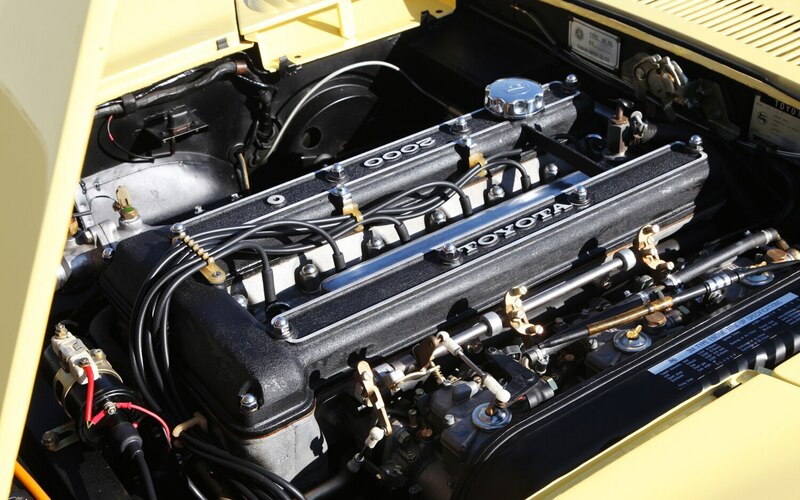 The 1989-cc six was Japan’s first mass-produced four-valve-per-cylinder engine. It was developed originally by Prince for the R380 race car, and it made its debut almost simultaneously in the Z432 and the first Skyline GT-R. It produced 160 hp, nine more than the U.S. engine despite having seventeen percent less displacement. 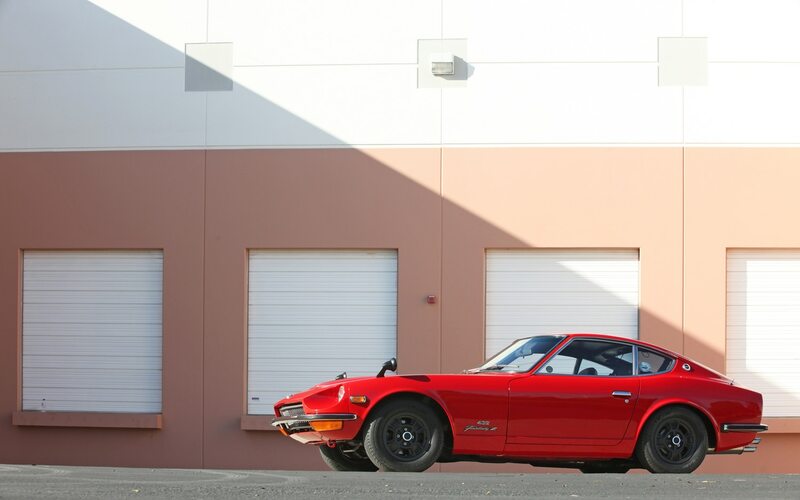 Similar output, yes, but totally different personality: the incredibly short-stroke, party-animal six doesn’t wake up until the old 240Z engine goes to bed — its seismologist-special torque curve smooths and swells at five grand, and from there to the 7400-rpm redline, it’s all cocaine and wasabi. To your ears, it’s the full fury of Godzilla — a tremendously deep, mechanical symphony so rich and complex you’ll think that the engine breathes through the world’s largest saxophone reed. That tiny stroke means the straight six is all bore — a suspicion confirmed when you see that the 2.0-liter engine essentially takes up the entire length of the engine compartment. 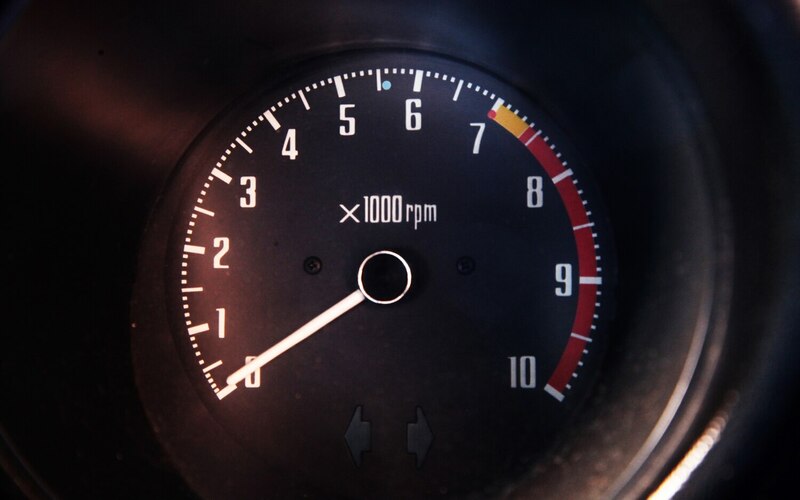 It would be fourteen years before another normally aspirated Z matched the Z432’s power output, but that car, the 300ZX, weighed 30 percent more — and its low-revving six was nothing like the Z432’s track-sourced fireball. The fast, lightweight Z432 was, and remains, the definitive king of the Z cars. Like lesser Zs, the Z432’s unibody is a bit quivery, and its simple, straightforward cockpit is nothing particularly special, especially after you’ve been sitting in a 2000GT. The shifter is nice, but it can’t compare with the S800’s, and at idle, the quiet lope coming from the vertically stacked exhaust pipes doesn’t sound as cool as the Cosmo’s raspy, poppy snarl. But the Z432 is a livable, soulful sports car, and it’s easy to understand how and why the Nissan Fairlady Z put to rest the popular insult that the Japanese could make only cheap, chintzy knockoff transportation. One drive in the Z432 — or any of these four cars — and you’ll wonder how on earth Japan ever got a reputation for building soulless appliances. And if you think the Subaru BRZ and the Scion FR-S have questionable ancestry, all you need to do is look back to the automotive dawn of the land of the rising sun. These four cars explain it all.